Vaccines in People Allergic to Eggs: What's Safe? What Vaccines Are Safe for People Allergic to Eggs? Four vaccines, including those for influenza, MMR, rabies, and yellow fever, contain small amounts of egg protein because they're cultured either in eggs or in chick embryos. This raises a potential concern for people who are allergic to egg protein. However, even in the four vaccines considered to be potentially problematic for egg-allergic people, each shot contains different levels of egg protein. Therefore, some are considered safer for people with egg allergies than others. Also, egg-free alternatives exist for two of the shots. Other recommended vaccines, including the Pneumovax 23 vaccine, are not considered a risk for those with egg allergy. The MMR (which stands for measles, mumps, and rubella) vaccine normally is given twice in childhood: once at 15 months, and again in a booster shot at ages four to six. This shot is considered safe, even for people who have severe egg allergies. The shot is cultured in chicken embryos, but only traces of egg protein remain in the finished product. 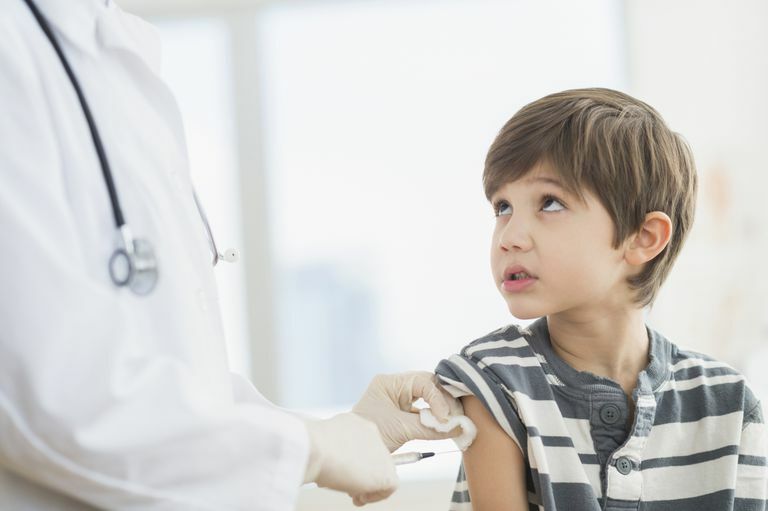 Medical researchers have looked at the effects of the vaccine in children with egg allergies, and have found no allergic reactions resulted from getting the shot. Note that research has shown it's safe for children with egg allergies to receive the MMR vaccine. Still, if you have concerns about it, you should talk to your child's pediatrician. Rabies is a dangerous virus transmitted through bites from infected animals. Once symptoms begin, the disease is almost always fatal. There are various different vaccines on the market for rabies that can be administered after you've been exposed to the virus. However, most of the vaccines are cultured in chicken embryos and aren't considered safe for people who have severe egg allergies. Fortunately, there is one option for the egg-allergic: Imovax, which is not cultured in chick embryos. The Centers for Disease Control and Prevention (CDC) recommends that everyone ages six months and older should get an annual flu shot. However, people with egg allergies need to take special precautions, since almost all influenza vaccines are cultured in chicken eggs. There's one flu vaccine—Flublok, made by Protein Sciences Corporation—that does not use chicken eggs during manufacturing. Flublok is approved for anyone ages 18 and up, so if you're allergic to eggs and fall into that age range, you should ask specifically for Flublok. For children and teens under age 18 with egg allergy, the CDC urges them to get the regular flu shot, but only under the direct care of a doctor with expertise in handling severe allergic reactions. Read more about whether people with egg allergies should get the influenza vaccine. Yellow fever is a severe, mosquito-borne illness common in parts of South America and Africa. The disease has a high death rate, and you need to be vaccinated against yellow fever in order to travel to certain countries. However, all yellow fever vaccines are cultured in eggs, and doctors advise those with a history of severe allergic reactions to avoid the vaccine. Those with milder allergic reactions may be able to handle the yellow fever shot, or it's also possible to have allergy testing done with the vaccine itself to see whether you might be able to handle it. Learn more about the risks of yellow fever vaccine in people who are allergic to eggs. As you can see, the risks of these four vaccines vary for those who are allergic to eggs, and there are alternatives to two of the four vaccines. Yellow fever is the most potentially problematic of the four, and unfortunately, there's no egg-free alternative. If you have concerns about the potential risks of any recommended vaccination, talk to your doctor about the safety of each vaccine individually. The type and severity of your reactions to eggs may determine if a certain vaccine is safe for you. Centers for Disease Control and Prevention. Flublok Seasonal Influenza (Flu) Vaccine fact sheet. Centers for Disease Control and Prevention. Vaccination: Who Should Do It, Who Should Not, and Who Should Take Precautions fact sheet. Can You Eat Baked Eggs If You're Allergic to Eggs?